Click the image below to read an article from Hotpress Magazine about Mick in which he discusses his equipment and what it’s like playing in a U2 tribute band. 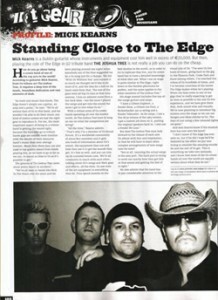 The Joshua Tree are four fans of U2 that want to recreate the sound and the live feeling of being at a U2 concert. They have managed to replicate The Edge’s sound by using the equipment that The Edge actually uses, so there is a lot of gear needed, to our knowledge no other U2 tribute bands in Ireland are using this set up. 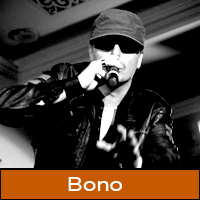 Bono aka Derek Power has played in many acts, original and tribute bands, he has toured Japan and Germany with a U2 tribute band, and has done one man Bono Shows in Spain, Brazil and Ireland, so he has a lot of experience performing as his hero on stage which explains his great stage presence that the fans love and go mad for. Derek has also a virtual band called “ELECTRO DOLLS”. Here is the video for the bands first single DIRTY DOGS https://www.youtube.com/watch?v=B_EXtXBM6HA New single and promo video for the bands next release NOTHING will be out very soon. 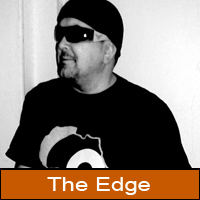 Mick Kearns aka The Edge has been playing the guitar almost as long as The Edge, he has played in many successful original bands during the eighties and nineties, and has been playing in U2 tribute bands for many years, Mick has invested a lot of time and money in creating The Edge’s sound, which he has perfected down to a fine art. Having the right amps and right guitars is a big plus, but also having the right equipment and the know how to program and use is a fine art in itself. Stephen Forde aka Larry Mullen Jr. has played along side Mick for many years , which gives a great chemistry between them on stage, Stephen has also gone for the exact drum kit, he got Yamaha in Japan to make him the same drum kit that Larry use’s on stage. 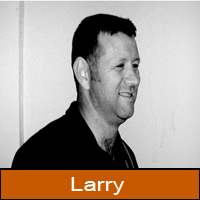 Stephen has many hours of work and research into Larry’s playing and the use of click tracks for sequence’s. Brian Vaughan aka Adam Clayton has been playing the Bass with various original and cover bands based in Dublin and has played all over Germany. 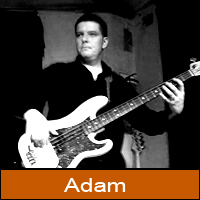 A massive U2 fan and in particular a fan of Adam’s style, Brian reproduces Adam’s playing style & sound with his Fender Jazz Bass Guitars and Ashdown Amp. I hope this will give you a little insight into the band, and also the experience of hearing us play live, our promise is to recreate the sound of U2 through The Joshua Tree.